From Traditional to Trendy: Find Thousands of Choices! Find everything needed for your home, backyard and office: furniture; fine art and décor; landscaping items, patio furniture and grills; appliances; doors, cabinets and fixtures; flooring; home automation; wall and window treatments; home automation; hurricane protection, pergolas, awnings and much more. Plus, enjoy special savings exclusive to the Show! Meet and Ask the Experts! 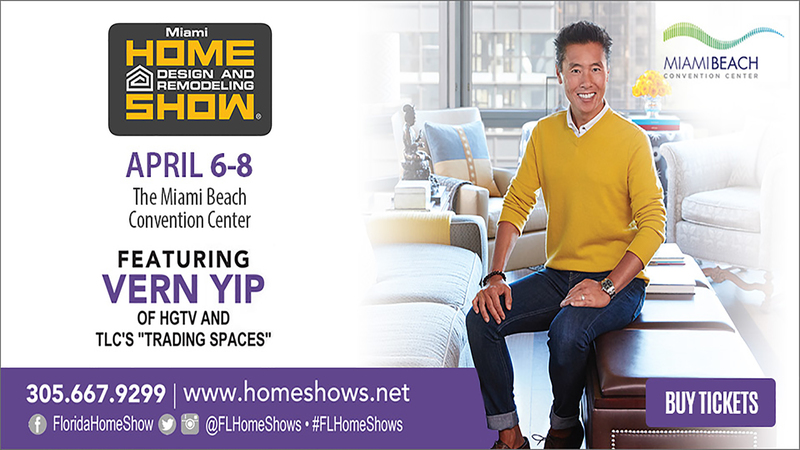 HGTV’s Vern Yip, an award-winning Interior Designer from HGTV and TLC’s “Trading Spaces” will speak, answer questions and sign autographs at 2:00 and 4:00 p.m. Saturday, April 7th and 3:00 p.m. Sunday, April 8th at the Ygrene Home Improvement Stage. Known for his sophisticated yet sensible style, show-goers will have a chance to learn pro tips and get a sneak peek behind the scenes of the highly anticipated return of America’s favorite room makeover show. Home Style 411: Let the Home Show featured Interior Designers tell you know what’s new, plus answer your design and décor questions. They’ll each create a beautiful room vignette filled with ideas and inspiration, so that you can get started planning the next project. Meet Roberta Black, Jessica Boudreaux, Reginald Dunlap, Viviana Galetto and Natalie Kight. 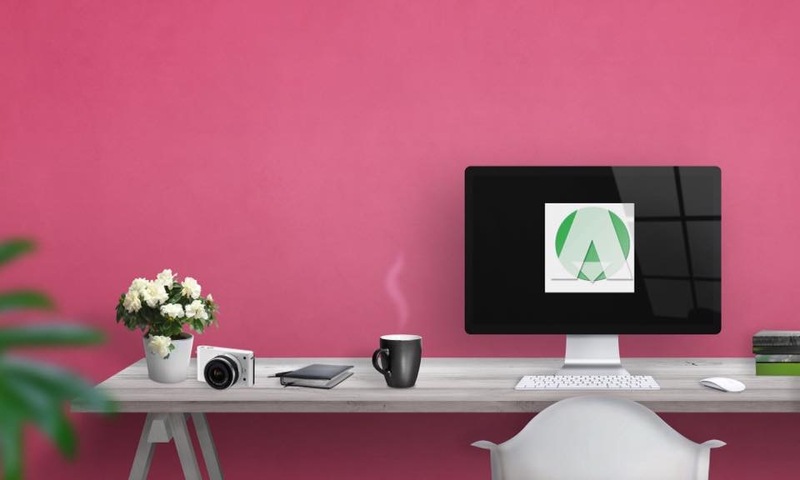 Miami Arts & Design Education (M.A.D.E), a career school for creative design located between Wynwood and the Miami Design District, presents the Home M.A.D.E. Design Studio: this interactive learning space will offer visitors a chance to get hands-on experience with interior design processes like space planning and material selection. Homeowners in need of renovations, realtors or owners staging properties to sell, vendors, and all people with a passion for design are invited to collaborate with M.A.D.E professors and students in the studio. Because the threat of hurricanes is never far from South Floridians’ minds, the Home Show is especially grateful to have Ygrene bringing experts Deborah Castro and Rafael Perez, to the Ygrene Home Improvement Stage to discuss storm proofing your home and keeping your family safe during a storm. You won’t want to miss it! Premium Digital Control & Automation is offering two professional development seminars at the Ygrene Home Improvement Stage. Subjects covered will include: Controlling and Isolating Sound With Design and Construction and Supporting Green Lifestyles With Technology Systems. Check the Home Design and Remodeling Show website for details and schedule. Sunday is always Family Day at the Home Show and special, kid-friendly activities are designed to encourage creativity. Join the Perez Art Museum Miami’s (PAMM) “Street Team” and enjoy coloring and building straws; plus receive a PAMM Kids tote bag, guest passes and more. Enjoy $1.00 admission for children 11 and under, the whole weekend! $10.00 adults; $1.00 children 11 and under. Online or at the Box Office. Purchase tickets online by Thursday, April 5th and SAVE $3.00. 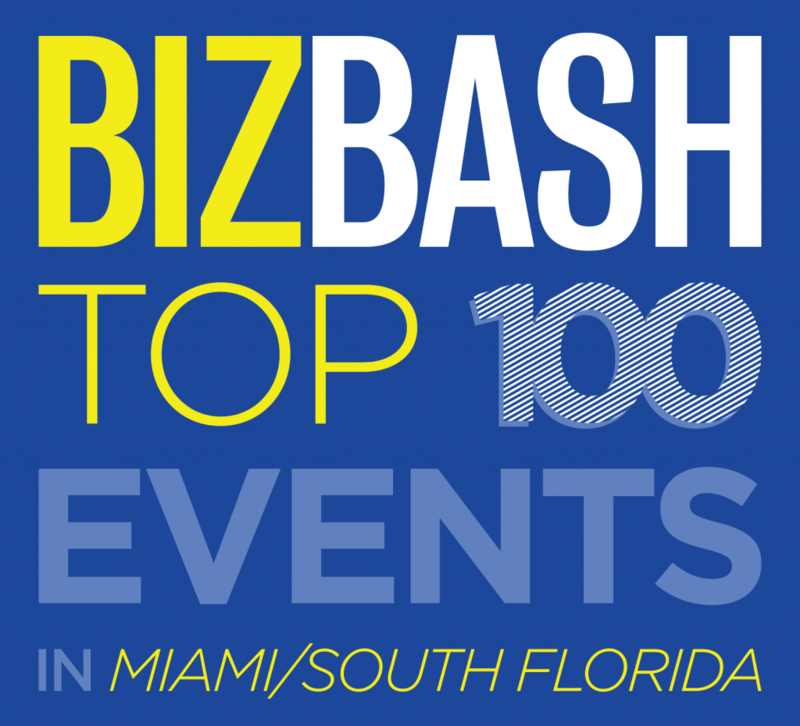 Next PostNext Fort Lauderdale Home Show Adds Award-Winning Designer and Spanish TV Décor Expert to Roster!